Default button set in dull orange. However, that release was lost. Audentio tried to look for his copy that's still with him, which he did, but there were missing images in the set. Since the MyBB Image GDK was available here: http://community.mybb.com/thread-5273.html - I attempted to rework on the sets and eventually release them. 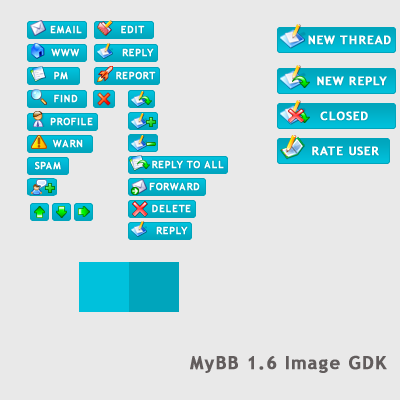 The license.txt and readme.txt from the MyBB Image GDK package is included in this release. Default button set in scarlet. Default button set in green. Default button set in gold. Default button set in purple. Default button set in turquoise.